Clix4BTC is a Bitcoin Pay to Click(PTC) website for members to earn bitcoins by surfing ads placed by our advertisers. Bitcoin is the first secure digital currency. A Bitcoin address, or simply address, is an identifier of 26-35 alphanumeric characters, beginning with the number 1 or 3, that represents a possible destination for a Bitcoin payment. Just like the Dollar symbol $, the bitcoin symbol is BTC. Another way to denote bitcoin is mBTC which is a milibitcoin. The default bitcoin symbol on Clix4BTC is mBTC. This is derived by dividing 1/1000 BTC. Its easy, login or register. Surf the ads by clicking on the ads displayed, wait for timer to finish countdown. Click on the required image and voila! Your main balance will be loaded with bitcoin. Referrals are users registed on Clix4BTC. They can be direct referrals, the ones who registered on your downline using your affiliate link, or they can be rented referrals (RR), the users who registered without an upline. RR can be rented for 30 days and extended. You can have unlimited number of direct referrals. We will sell and rent you referrals who have clicked at least 50 ads in the last 5 days. The minimum withdrawal amount is 0.2mBTC (0.0002BTC). We charge a fee of 0% for all withdrawals. Please allow up to 7 days to receive your bitcoins. We will manually process all payments and do our best in processing earlier. No, this will result in termination of all acounts and loss of funds. Your account balance holds your earnings that you can withdraw. Your purchase balance holds the funds that you have deposited and can be used to purchase all services we offer. Go to "account", look for the "add funds" button and click on it. Type in the amount you want to deposite, remember the website is in mBTC. 1mBTC = 0.001BTC. 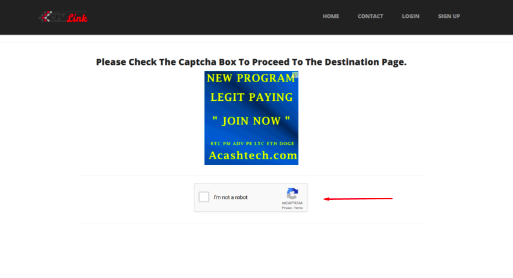 Select payment method and click "Send" to receive a bitcoin deposite address. Send the exact expected amount and wait for 2 network confirmation for deposit to appear in your account. Due to the constant change in bitcoin price, unallocated credits get reduced at the end of the day based on the percentage change in price. We update all prices once a day. if the percentage change in price was 10%, 10% of your ptc credits will be deducted. Therefore, we advice you allocated all ptc credits after purchase. You must pass whole process to be credited. It takes only 10-15 seconds per ad. Earnings over bonus ads are counted as dollar earnings.